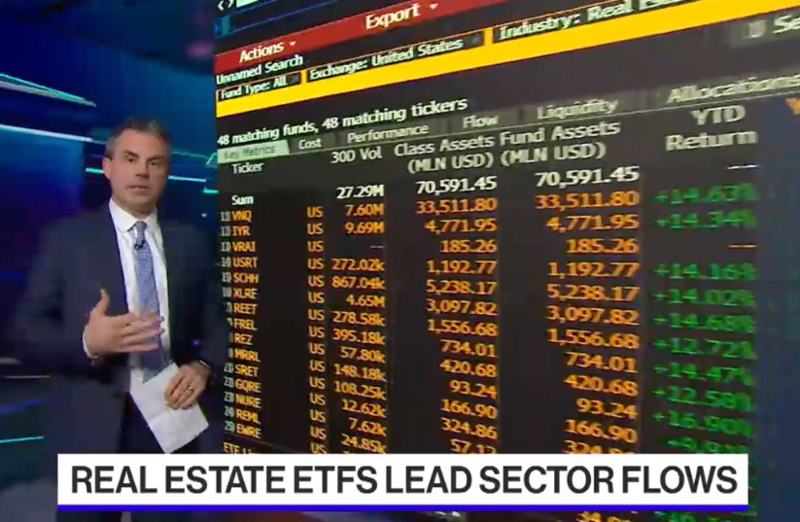 Last week, Bloomberg’s ETFIQ covered the massive flows into REIT ETFs so far in 2019. Eric Balchunas highlighted that REIT flows are highly correlated with interest rates, so money going into the space after the Federal Reserve decided to pause should not be a surprise. According to Bloomberg YTD, as of March 13, 2019, the Vanguard Real Estate ETF (VNQ) is up 15.37%; only surpassed by the Real Estate Select SPDR ETF (XLRE) at 15.52%. 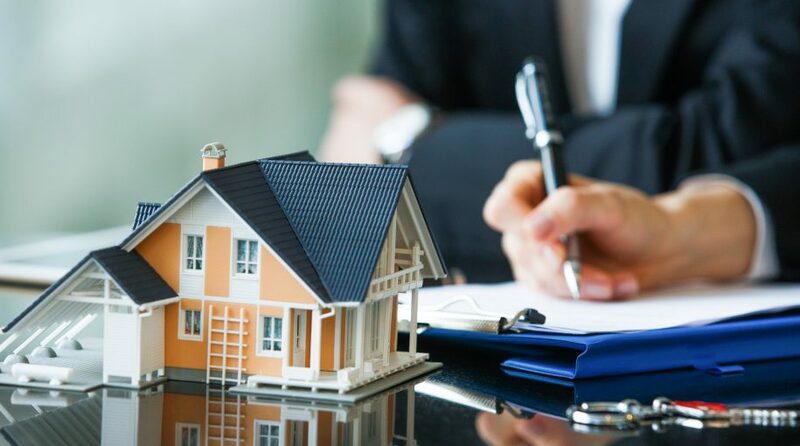 By the way, congrats to Virtus for capturing the trend with the launch of the Virtus Real Estate Income ETF (VRAI) on February 8, 2019. Timing the launch of an ETF can be a critical component to success and getting to $186 million in AUM defines a strong launch. While the $3.3 Billion in headline catches the eye, it is noteworthy that $2.482 Billion flows were concentrated in iShares U.S. Real Estate ETF (IYR) and VNQ, which, as our ETFThinkTank.com tool points out, have an 80% overlap! It is amazing that IYR can maintain a 44 bps fee in this environment, but why should they lower the fee when $1.1 Billion came into the fund this past year? Ironically, VNQ isn’t even the cheapest ETF in this space. Investors looking for a bargain might check out the Fidelity MSCI Real Estate Index ETF (FREL), perhaps they had to price the fee at 8 bps because their symbol was so uninspiring. Back to Virtus and the Virtus Real Asset Income ETF (VRAI). Having a different take in a crowded space is important to successful ETF launches. There are 25 REIT ETFs, and competing against VNQ at 12 bps is tough. With $33.6 Billion in AUM, it is a hard battle to fight. VRAI charges 55 Bps, but takes on this challenge through an intriguing index approach that focuses on income producing U.S. equities in three categories: real estate, natural resources, and infrastructure. Thus, as illustrated below, the overlap between the larger and cheaper funds is minimal. In fact, as the Think Tank Smart Cost Calculator points out – with only a 7% overlap to VNQ, investors are paying more for something that is meaningfully different. Skeptics may argue that VRAI is not really a REIT ETF, and with REIT holdings only at about 30%, they may be right. Nevertheless, ETFs for us are about innovation and accessing solutions, so we are intrigued by this take on the theme. In 2019, the news cycle is much about fee wars and less about the label “Smart Beta.” We declared “the term smart beta is dead” back in 2018. 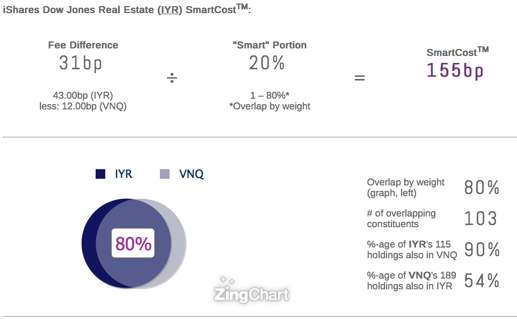 Getting a consensus to embrace a misguided label was wrong, but certainly we can all agree that defining cost can be “Smart.” To that point, in the case of IYR, we highlight that the 80% overlap to VNQ allows only for a 20% allocation to what is different. Is a 20% overlap really worth almost triple the fee? IYR is a $4.89 Billion AUM ETF! Are You An ETF Nerd? 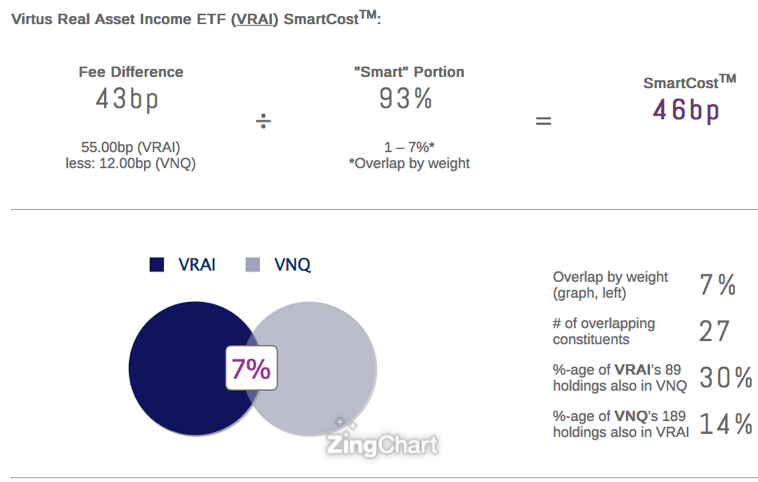 Again, as an ETF Nerd, we encourage the industry to define what is Smart in terms of Cost rather than Beta, and in our ETF Think Tank due diligence call with financial advisers, we highlight the issue through the SmartCost ™ calculator.